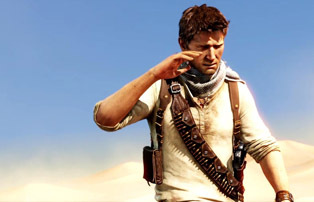 Earlier this week, I reviewed Uncharted 3: Drake’s Deception. Unlike most other outlets, my feelings for the game ran only lukewarm. The reason for this is easily summarized. The previous game, Uncharted 2: Among Thieves, boasts an excellent storyline, deep character development and some of the most exotic and satisfying environments in any game of this generation. In retrospect, the controls did feel a bit outdated, but I never noticed the mechanical issues while I was playing because the narrative elements of the game were so thoroughly engrossing. Drake’s Deception, meanwhile, botched the storyline, glossed over character development and waited until the final act to introduce any awe-inspiring settings. With nothing else to distract me, the gameplay somehow seemed even worse. In short, compared to its predecessor, Drake’s Deception is a hot mess. I wasn’t, however, the only person to be underwhelmed by Drake’s Deception. Scott Jones was of the same mind in his review for the Onion A/V Club and Tom Chick was even more critical of the game over at Honest Gamers. Both reviews, predictably, received a similar flurry of shrill responses. I don’t generally read comments, on my pieces or anyone else’s, but I noticed something curiously consistent in the comments of all three pieces, namely the argument that our criticisms were invalid because the weight of the rest of the critical response to Drake’s Deception was against us. For Tomy, and other commenters like him, to insist that a subjective opinion is somehow demonstrably wrong is nothing new for the Internet. What is new, to me at least, is this apparent need for critical consensus. Despite having no personal stake in the game (like monetary investment or professional involvement), there is a palpable desire to have the entire community of game critics come to a single rating for every game. Anything less threatens to not only invalidate their enjoyment of the game, but something at the core of their very being. Tomy and his ilk work themselves into a frenzy of slobbering incoherence at the first sign of dissent. It is a completely irrational state and their rhetoric has an edge that can only be described as hateful. A perspective like this goes far beyond mere enthusiasm – they are captives of their own fandom. And it isn’t just crazy Internet trolls. 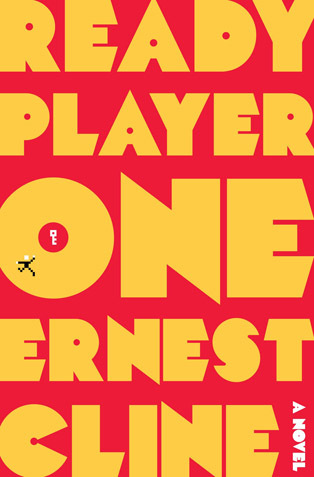 I recently finished reading Ernest Cline’s debut novel Ready Player One. A bit of near-future sci-fi fluff, it depicts an economically ruined Earth populated by people who spend the majority of their time plugged in to a virtual reality MMO called the OASIS. When its creator, James Halliday, is dying of cancer, his final act is to will his entire fortune (and ownership of the OASIS itself) to the first person who can puzzle their way through a series of riddles and challenges to find an Easter egg hidden deep within the simulation. This is no small thing – Halliday was the richest man on the planet and the OASIS the largest corporation. The socially awkward Halliday grew up during the 1980s and that era’s pop culture, from arcades to new wave, sustained him through his difficult teens and for the rest of his life. His obsession with the ’80s ran so deep that he was known to fire employees for not catching a reference to song lyrics or failing to reply correctly to a line of quoted movie dialogue – he was very much a troll like Tomy but with the wealth and power to enforce his need for consensus. His inheritance contest, therefore, was built around obscure references to those same beloved albums, games and movies of his youth. The result is chilling. With billions of dollars at stake, the world essentially grinds to a halt in order to pore over Halliday’s writings and media collection. The people who take up the hunt for the Easter egg embraced all the things Halliday loved, to the exclusion of all else – not because they also loved those thing on their own terms but rather because Halliday’s relationship with them elevated them to a kind of religious significance. The creation of new culture effectively stopped, replaced instead by a nostalgic monoculture. What is most disturbing about this is that Cline doesn’t seem to see the problem with that. While he has plenty of criticism for corporate greed, government corruption, economic slavery, Halliday’s antisocial behavior and even the detrimental effect of too many videogames, he never sets his sights on the dangers of embracing nostalgia to such an extent. An ’80s enthusiast himself (much has been made of his ’82 DeLorean, which he has converted to resemble Doc Brown’s time machine from Back to the Future), he holds his own favorite decade up as the lone refuge in a hostile world. It is really just another prison. This ‘geek culture’ – videogames and science fiction and comics and all the rest – is the product of years of marginalization by the mainstream cultural consensus. It has grown, bit by eclectic bit, because we refused to abandon the things we love simply because most people don’t know about it, don’t care about it or don’t take it seriously. Now, after decades on the fringe, it has become an economic force so huge that the lines between geek culture and popular culture have become blurred to the point of non-existence. But we aren’t meant to patrol around the things we enjoy like slavering guard dogs. Culture, at its most basic, is meant to inspire us to find ever more meaning in our lives and relationships. When we stop being inclusive and adventurous, when we stop looking for the new, when we give in to the sullen trolls who wallow in self-imposed isolation, when we treat our entertainment like holy relics – that is when the things we love will lose their vitality and sink into stagnation. If that happens, even the scraps won’t be worth fighting over.